Dryadula is a monotypic genus of the butterfly family Nymphalidae. 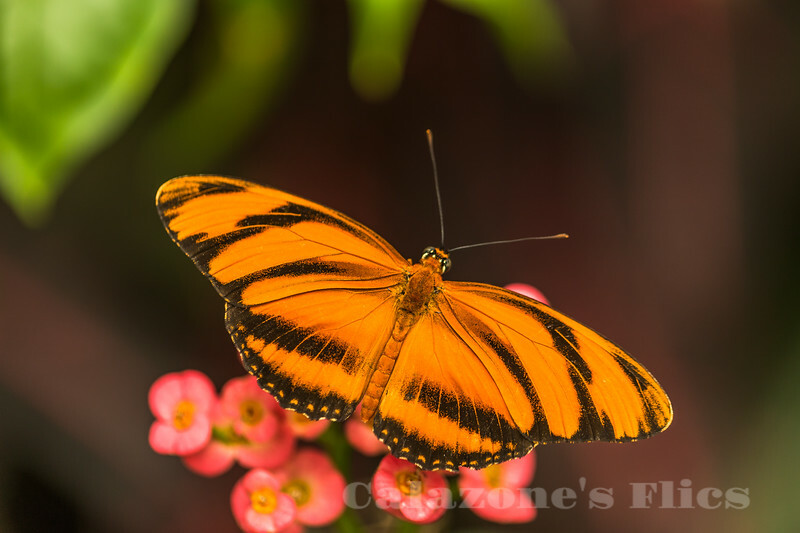 Its single species, Dryadula phaetusa, known as the banded orange heliconian, banded orange, or orange tiger, is native from Brazil to central Mexico, and in summer can be found rarely as far north as central Florida. Its wingspan ranges from 86 to 89 mm, and it is colored a bright orange with thick black stripes in males and a duller orange with fuzzier black stripes in females. It feeds primarily on the nectar of flowers and on bird droppings; its caterpillar feeds on passion vines including Passiflora tetrastylis. It is generally found in lowland tropical fields and valleys. Nice composition and super detail.